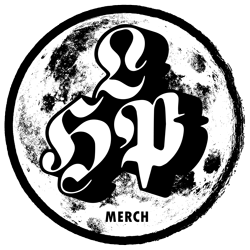 LHP Merch Terms - LHP is a boutique store for the weird and wonderful. These terms and conditions set out the basis on which you can use the Left Hand Path (“LHP”) website and place orders for items from LHP. By ordering goods from LHP you are deemed to have understood and accepted these terms. The supplier of the goods featured is LHP, a trading name of LHP Merch Ltd (“Left Hand Path”, “we”, or “us”) registered in England and Wales with company number 10625334. You may contact us at the following address: Kemp House, 152 – 160 City Road, London, United Kingdom, EC1V 2NX. We may contact you for marketing purposes by email, mail or telephone with relevant information and offers from the following entities shop@lhpmerch.com. For any information regarding call charges contact your service provider. Customers can pay for items as they are ordered by credit or debit card, voucher or gift card or PayPal, and the terms and conditions set out below will then apply. Your order for goods is accepted and a contract is formed between LHP and you when we despatch the goods you have ordered and not before. A contract is not formed at the point in time that payment has been taken from you by LHP, nor at the point in time that you receive an email from LHP acknowledging receipt of your order. Until the goods are despatched the order may not be accepted by LHP or may be cancelled provided that cancellation by you shall at all times be in accordance with the standard cancellation policies as determined by LHP acting in its absolute discretion. Please note that LHP may restrict the volumes of certain items to be sold in any one transaction acting in its absolute discretion. For the avoidance of doubt following formation of the contract LHP shall continue to own any goods ordered until it has received payment in full from you even where goods may have already been delivered to you. The next day delivery service applies on orders placed before noon. Delivery times cannot be guaranteed. Specific delivery details will be confirmed at the time you order. Under Consumer Regulations you have the right to cancel your order as long as you do so no later than 14 days after the day on which you receive the goods or service. Please be aware that your right to cancel does not apply to certain goods that we sell, for example, items made to your order. You must inform us of your wish to cancel in writing by email within a period of 14 days beginning on the day after the day you receive your goods. You must take reasonable care of the goods and not use them. You should return goods to us in their original packaging, wherever possible, within 14 days of informing us of your wish to cancel and including any promotional items received for your cancellation to be effective. If you return goods to us, we will not be responsible for any loss or damage to them during transit and we recommend that you use a recorded or secure delivery method. If goods are lost or damaged in transit, we may charge you, or not refund to you, amounts that are attributable to the loss or damage. We cannot accept substitute or alternative items by way of returns nor are we able to send them back to you, so please look closely at the items you return to us. If you return or attempt to return substitute or alternative items you will still be responsible for paying for the original item purchased and we reserve the right to charge our reasonable investigation costs to you. We can offset this amount due from other sums that may be due to you for refunds etc. Accepting returned goods and/or crediting an account does not constitute a waiver of our right to charge an investigation fee. For full details of your rights under the Consumer Protection Regulations, please contact your Citizens Advice Bureau or a solicitor. Additional terms and conditions may apply to cancelling orders for certain goods such as made to order items and larger items and you acknowledge our right to notify you of such terms and conditions upon receipt of your notice to cancel and/or return. For the avoidance of doubt, all returns should be made by post and recorded delivery is recommended, postage costs incurred by LHP or you will not be refunded, the same shall apply to debit, credit and PayPal charges. If you wish to arrange for goods to be returned, please contact info@lhpmerch.com quoting your order number and the reason for return. Please provide as much information as possible. Instructions on how to return your order to us will be provided. Once we receive the returned product, we will replace the item, cancel the order or refund as required. We strongly recommend that you request and retain proof posting for any items returned and insure your package for the value of the item. LHP will not refund customers for items lost in transit. Refunds are normally processed within 5 business days of receipt of goods. If goods are received damaged, please notify us at shop@lhpmerch.com. Damaged products and packaging must be retained in case inspection is required. Your legal rights are unaffected. If we sent you an item that you have not ordered and which was not a substitute item, you must return this item to us to arrange either a replacement or substitution. Please contact shop[@]lhpmerch.com for the return address. No refunds or exchanges can be given on items made to your specification. Items that pose a hygiene risk or are perishable cannot be returned. Where a product has a security sticker warning that the product cannot be returned once the sticker is removed, a refund or exchange will not be given if the seal is broken except in accordance with legal rights. Gift cards/vouchers cannot be returned or exchanged for cash. Returned items which are not in new or unused condition may not be fully credited to your account unless they are faulty. The prices shown are inclusive of any value added tax or sales tax. Due to circumstances beyond our control, prices may have to be altered up or down, including any alterations to the rate of value added tax or sales tax. The current price will be shown when you place your order. All prices shown are cash prices in sterling. Your order will be fulfilled within 14 business days. We will contact you if your order will not be fulfilled within this time. In the unlikely event that we are unable to supply the product ordered, we will advise you as soon as is possible. Delivery will be made to the address specified by you. Please note that our standard delivery of products is within mainland UK, including the Isle of Wight. Our courier will make all deliveries to you. We do our best to secure delivery within 14 business days of the date of your order. Surcharges may apply for deliveries where there are access restrictions. Reasonable care has been taken to ensure that item descriptions are accurate. However, specifications may change and be subject to change and slight variation. On that basis, whilst we try to be as accurate as possible, all sizes, weights, colours and measurements quoted on this website are approximate. Images of the products shown on this website are for illustrative purposes only. We have made every effort to display all product colours and sizes accurately however we cannot guarantee that the image displayed will accurately reflect the true colour or size of the product delivered to you. If you do have a complaint please write to shop@lhpmerch.com. LHP welcomes and learns from complaints. We aim to deal with complaints as efficiently as possible. All complaints are logged, investigated and replied to. That contains any computer viruses, worms or other potentially damaging computer programs or files. For any content that you submit, you grant LHP a perpetual, irrevocable, royalty-free, transferable right and license to use, copy, modify, delete in its entirety, adapt, publish, translate, create derivative works from and/or distribute such content and/or incorporate such content into any form, medium or technology throughout the world without compensation to you. Ratings and written comments are generally posted within fourteen business days. However, we reserve the right to remove or to refuse to post any submission for any reason. You acknowledge that you, not LHP, are responsible for the contents of your submission. None of the content that you submit shall be subject to any obligation of confidence on the part of LHP, its agents, subsidiaries, affiliates, partners or third party service providers and their respective directors, officers and employees. By submitting your email address in connection with your rating and review, you agree that LHP and its third party service providers may use your email address to contact you about the status of your review and other administrative purposes. Your gift card can be used by you if you are the purchaser or given as a gift to a third party. You or a third party can use the card in full or part payment for goods. The value of your purchases will be deducted from the balance on your card when presented; any remaining balance can be used against future purchases. Purchases and refunds made outside of the UK will be subject to currency conversion at the prevailing daily rate. The card is not for re-sale and cannot be exchanged for cash. No change or refund will be given. Gift cards will not be honoured and shall be invalid if found to have been re-sold. Your balance will be updated after every purchase. The card will automatically expire 12 months after the last time that you use it to make a purchase or check your balance and any remaining balance will be deducted. LHP reserves the right to amend these terms and conditions and/or discontinue any gift card at any time. Your statutory rights are not affected. © Copyright 2018 care of the LHP, a trading name of LHP Merch Ltd registered in England and Wales with company number 10625334. You may contact us at the following address: Kemp House, 152 – 160 City Road, London, United Kingdom, EC1V 2NX to discuss any copyright queries. If any of this information changes we will tell you by updating these terms and conditions at shop@lhpmerch.com. Any instructions, rules and/or regulations relating to competitions will be updated in these terms and conditions.